MEMPHIS, Tenn. (AP) — Elvis Presley played there. And Jerry Lee Lewis did often. So did Wayne Jackson of The Memphis Horns and Donald "Duck" Dunn of Booker T. and the MGs. LITTLE ROCK, Ark. (AP) — The Arkansas Senate has approved a plan to replace the state's two statues at the U.S. Capitol with ones depicting singer Johnny Cash and civil rights leader Daisy Bates. The Senate voted 33-0 Monday for the proposal to replace the two statues depicting Uriah Rose and James P. Clarke. Rose was a 19th century attorney and Clarke was a governor and U.S. senator in the late 1800s and early 1900s. LITTLE ROCK, Ark. (AP) — Arkansas' senate endorsed placing statues of civil rights leader Daisy Bates and singer Johnny Cash at the U.S. Capitol on Wednesday, as lawmakers tried to whittle down a growing list of choices to replace existing monuments depicting two 19th century figures they say few people recognize. LITTLE ROCK, Ark. (AP) — A proposal to replace Arkansas' statues at the U.S. Capitol with new ones depicting civil rights leader Daisy Bates and singer Johnny Cash has failed before a legislative committee. But another proposal to replace the state's statues is on the way. HENDERSONVILLE, Tenn. (AP) — A four-acre lakefront property near Nashville where Johnny Cash and his wife June Carter Cash lived is for sale for $3.9 million. The house on the property where Cash lived burned down in 2007, but the estate includes a swimming pool, tennis court, and a 546-square-foot log cabin that June Carter Cash used to maintain her wardrobe. The couple lived at the site for 35 years. BELLEVUE, Iowa (AP) — Karen and Greg Langseth opened Lock 12 Music and Trading Co. in Bellevue in 2014 with a mission to send the gift of music to Jackson County. But on a recent Saturday night, the music came to Lock 12. Michael Moncada & Whiskey High took the stage situated in front of the storefront window. Moncada crooned earthy country-rock tunes as his bandmates played with the glow of Christmas lights illuminating their backs. All the while, a painting of Johnny Cash hung above them. 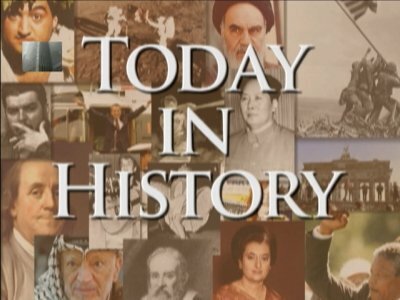 NASHVILLE, Tenn. (AP) — Four Tennessee sites have been added to the National Register of Historic Places. The Tennessee Historical Commission says the Works Progress Administration helped build the Oak Grove School in Sharps Chapel. The Union County school closed in 1965, and now hosts community events and a small library. NASHVILLE, Tenn. (AP) — Rosanne Cash's interest in political and social activism started at a young age, but she also had a role model in her father, Johnny Cash. TUSCALOOSA, Ala. (AP) — Like the old Johnny Cash song, the Alabama Blues Project will soon have its own home of the blues — a permanent spot, just around the corner from heartache. DYESS, Ark. (AP) — The Man in Black's boyhood home has been added to the National Register of Historic Places. The Arkansas Historic Preservation Program announced Friday that the home in Dyess where country music icon Johnny Cash lived from age 3 through high school has been added to the register. Dyess is a small Arkansas town close to the Tennessee border. 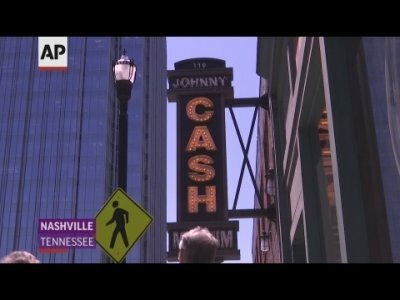 NASHVILLE, Tenn. (AP) — A key piece of Johnny Cash history is on public display for the first time ever in Nashville, Tennessee. The country music icon earned his first gold record for the recording of "I Walk the Line," but for the past decade the plaque has been in the hands of private collectors. More than 60 years after the song was released on Sun Records, visitors to the Johnny Cash Museum can now see the plaque on display with many of his other gold and platinum records. 1942 - Born on this day in Dayton, Ohio, was Margo Smith, singer who in the 1970's scored two US #1 Country hits, "Don't Break the Heart That Loves You" and "It Only Hurts for a Little While." She is also considered a "world class yodeler"
LITTLE ROCK, Ark. (AP) — The boyhood home of country music icon Johnny Cash is among 18 places in Arkansas that are being nominated to the National Register of Historic Places. The Arkansas Democrat-Gazette reports that the state review board of the Arkansas Historic Preservation Program has approved all 18 properties under consideration. “One Night in Memphis” is a high-energy concert that takes audiences back to Dec. 4, 1956, when four of the biggest names in early rock - Elvis Presley, Carl Perkins, Jerry Lee Lewis and Johnny Cash - found themselves jamming at the legendary Sun Records Studios in Memphis. All four artists were in their prime then. They didn’t know their little impromptu party was being recorded, and that the recording represented performances of some of the very best music of that time. Robert Earl Keen will be performing at the Wagner Noël Performing Arts Center at 8 p.m. Friday, March 23. Tickets are available now. This afternoon in The Listening Room Jake McVey was featured. As jukebox musicals go, this one is set early in the rock ‘n’ roll phenomenon — with four early music titans together in one place. ALLIANCE — Alliance Arts Council takes you on a trip back to the ’50s with THE HOLY ROCKA ROLLAZ. “Goats make lousy soldiers,” say the billboards at three San Antonio locations, depicting a goat in an Army utility uniform chewing on several blades of grass. A national nonprofit group called the Physicians Committee for Responsible Medicine put them up thris week to attack the Army Medical Command’s use of goats in combat medic training at Joint Base San Antonio-Fort Sam Houston. BROKEN ARROW, Okla. (AP) — Mary Shelley's "Frankenstein" was published 200 years ago. The classic piece of literature tackles this question: Should man possess the power to reanimate the dead? Locally, there's another Frankenstein tale, albeit nonfiction: What's it like to bear the Frankenstein name? Broken Arrow resident Wes Frankenstein, 57, indicated it's a lot like the Johnny Cash song "A Boy Named Sue." LITTLE ROCK, Ark. (AP) — Ten properties in Arkansas have been listed on the country's official list of historically significant properties. The sites were added to the National Register of Historic Places, the Arkansas Democrat-Gazette reported. The newly listed properties include a Cold War military base in Blytheville, a homestead near Salem, a poor-farm cemetery in Fort Smith and a monument to Union veterans of the Civil War in Benton County. John 'Jack' Richard Wright, 82, of Charlotte, N.C., passed away on January 21, 2018. He was married to the late Taneko (Toni) Wright, who was the love of his life for over 40 years. Born in York on January 20, 1936, to the late Earl and Ardath Wright. He attended York High School. He joined the Navy and served for nearly 22 years. JACKSON, Miss. (AP) — Country singer and musician Marty Stuart says he's planning to develop a museum and performance hall in his Mississippi hometown to display his collection of 20,000 country music artifacts, including handwritten lyrics from Hank Williams. Marty Stuart's Congress of Country Music will be in Philadelphia, about 80 miles (129 kilometers) northeast of Jackson. Frankenstein turns 200: What’s it like to bear the last name Frankenstein? TULSA, Okla. — Mary Shelley’s “Frankenstein” was published 200 years ago. In Oklahoma, there’s another Frankenstein tale, albeit nonfiction: What’s it like to bear the Frankenstein name? DIXON – Denny Diamond will play the hits of Neil Diamond, Jim Croce, Dean Martin, Glen Campbell, Tom Jones, Johnny Cash and others during a free show from 7 to 9 p.m. Saturday at Books on First, 202 W. First St.
Denny Svehla has 20-plus years under his baritone belt covering the classics by legendary musicians. His shows are a mix of music, a little comedy and a lot of family fun.Go to dennydiamond.com to learn more about him. This year's Black Hills Stock Show & Rodeo has all the dirt. Kadee Hande, marketing manager for the stock show, said the musical entertainment will be a highlight of this year's event, which runs from Jan. 26 to Feb. 4 at the Central States Fairgrounds in Rapid City. This year's musical acts favor "Red Dirt" country music, a sub-genre closely associated with "Texas Country."